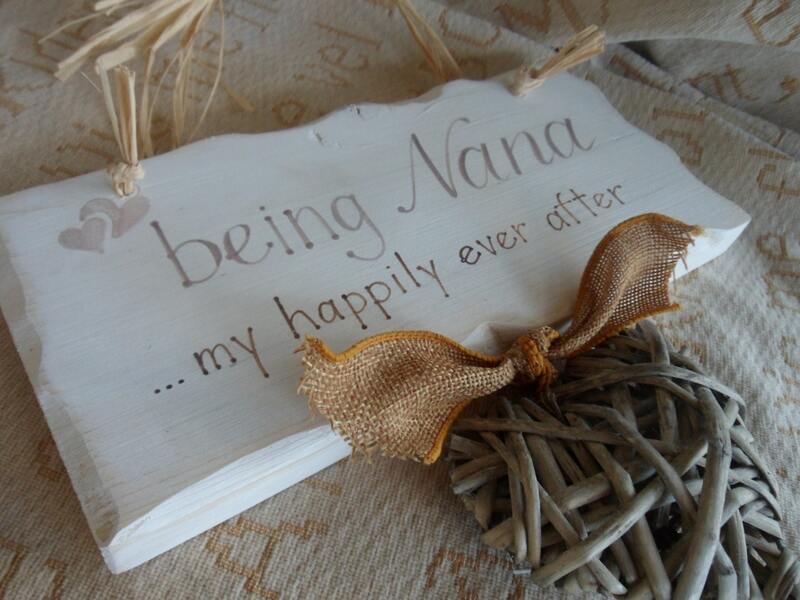 Being nana... my happily ever after is a handmade and hand painted wooden plaque. Finished with ribbon and raffia and a small wicker heart. 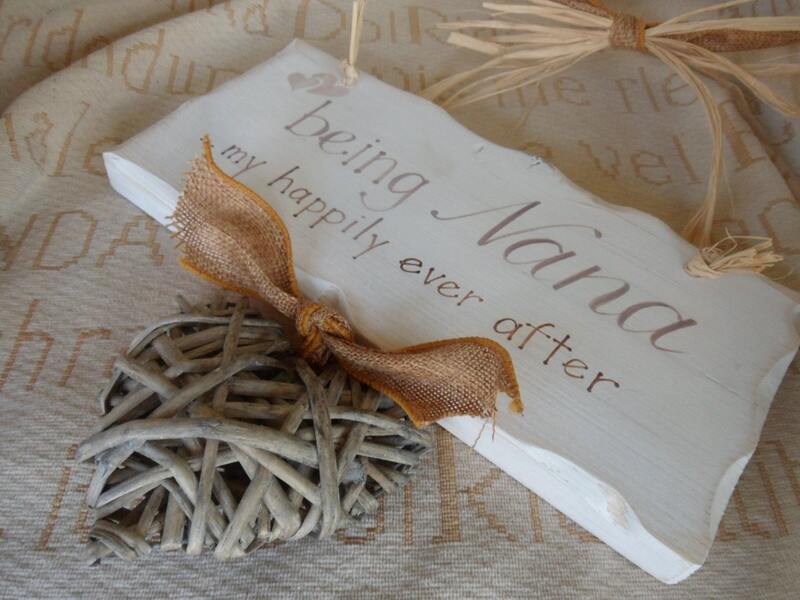 You could alternatively have a white heart, or additional hearts hanging underneath which are personalised with grandchildrens names. Item came really quickly. 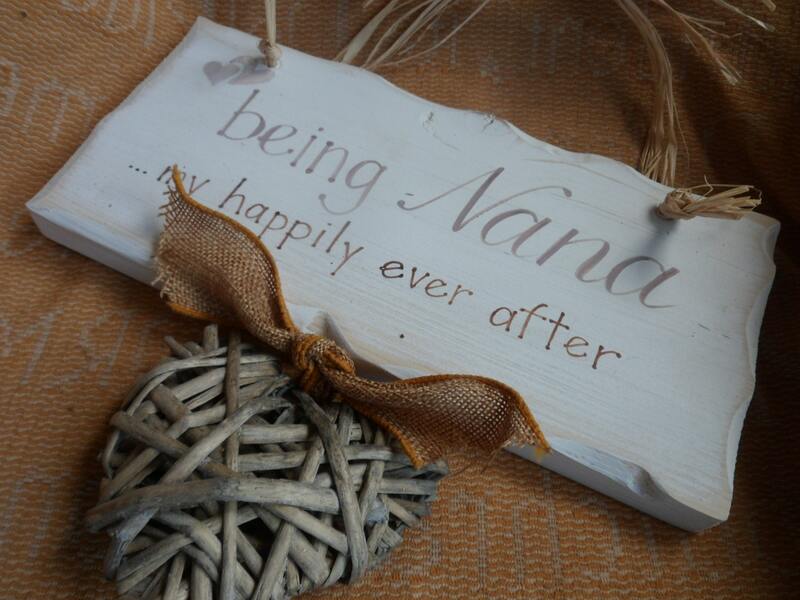 Really pleased, lovely personalised Christmas present for my Nan. Thank you. ...I have just ordered a couple more items.